Umpqua delivers ice cream and dollars! Thank you to everyone who made it out to the birdhouse event yesterday. It was a blast for everyone; children, dogs, and adults alike! 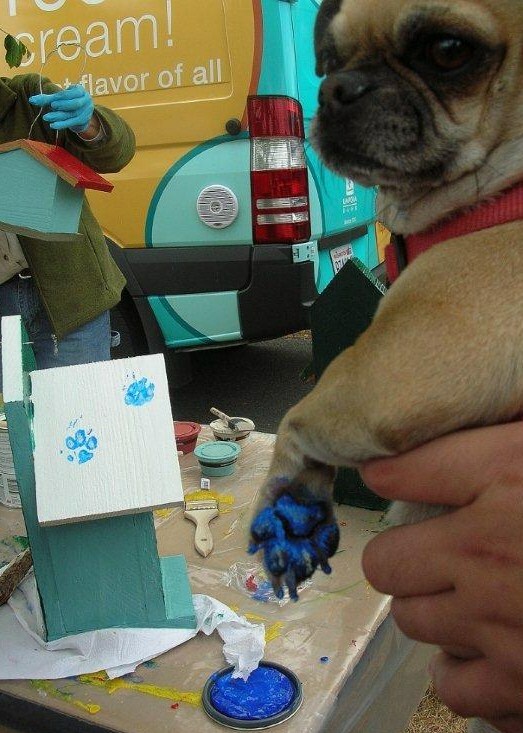 Even the dogs got involved in making the birdhouses! Umpqua Banks free ice cream truck is in the background! 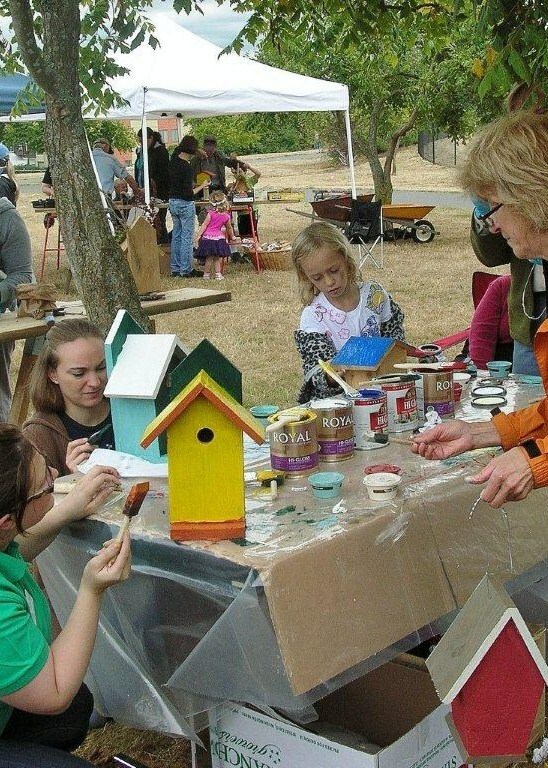 Jacey Gravelle far left, from Umpqua Bank decorates a birdhouse for the Bank lobby with other neighbors of Magnolia Manor Park. 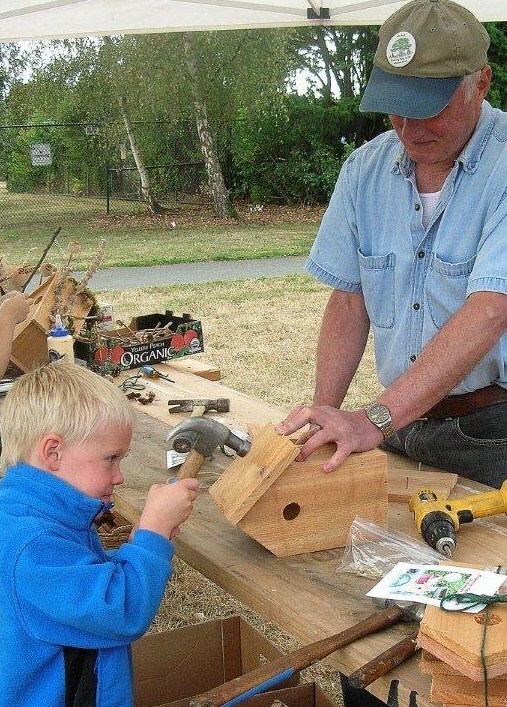 Friends of Magnolia Manor Park was able to raise over $700 through birdhouse kits and other donations – we thank you all for participating. AND a special thank you to UMPQUA BANK for not only providing ice cream at the event but also making a donation of $5000 to Magnolia Manor Park! 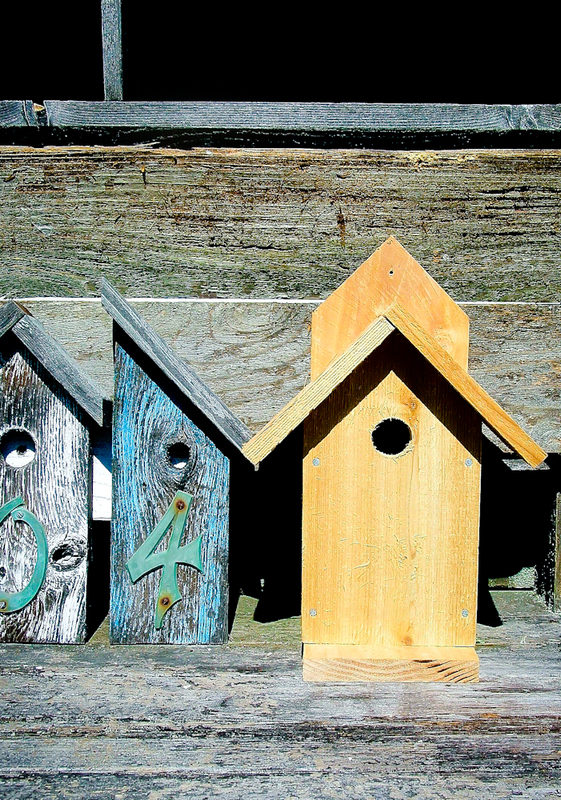 Also if you did not make it to the event to get a birdhouse, don’t worry! We have more available through the website! We Are Ready! Join Us this Sunday for the Fun and Fund Raising! Just a reminder of our upcoming event this coming Sunday at the Park…should be fun! Site Workshop will be there to walk us behind the fences to see the areas of planned expansion at 1:15pm and answer questions about the newly funded and upcoming design documents process. Umpqua Bank will arrive with free ice cream, there will be chalk art for kids and John Carlson, the neighborhood birdhouse expert, will be there! Proceeds from the kits go to the Park fund and kits will soon be on line to purchase! Donations are also being accepted to meet out first fundraising goal of $175,000 by December 2012 to get the P-Patch, dog off-leash area and the front yard of the Park entry done. And, if you want to volunteer just hit the volunteer for the event or for other projects, hours can go toward earning a P-Patch and helping us get the dog off-leash area completed and our Matching Grant Award! You can donate here, also!